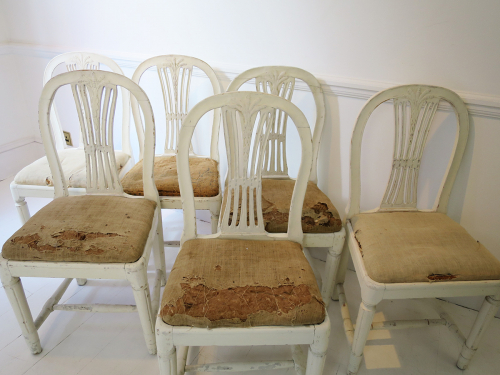 Set of 6 Swedish dining chairs 19th c - hand carved in the Gustavian style with wheat-sheaths. 19th c joinery and old paint. A good strong and rustic set.